It’s not easy to become a CrewATL team member. Crew are brought on as we meet them in the field. But all is not lost. If you’ve worked with one of our team, drop a name. If they love you, so will we. Are you looking to represent us from out of town? While CrewAtlanta is based in Georgia, our clients and production contacts span the globe, leading us to expand our services beyond Atlanta. If you would like to be added to our nationwide roster, review the below requirements. If you feel that you qualify, fill out the form at the bottom of the page. Be sure to include broadcast-level references and links to any online content that you have posted. One of our reps will review your information and contact you. And follow us on Facebook and Twitter for immediate notification of crew calls. A minimum of 10 years in the national broadcast arena. All must submit a 3-5 minute demo reel (or website) demonstrating your work. Resumes should summarize overall experience and list specifically the last 2 years of production projects and 5 broadcast-level referrals which we can contact. A minimum of 5 years experience demonstrating a solid background in live and live-to-tape event production. Resumes should summarize overall experience and list specifically the last 2 years of production projects and 5 broadcast-level referrals whom we can contact. A minimum of 5 years experience in broadcast-level production. Resumes should summarize overall experience and list specifically the last 2 years of production projects and 5 broadcast-level referrals whom we can contact. When applying, please let us know if you are a licensed professional. While it is not required, it does help get you to the top of our list. Be sure to mention any specialties you have, i.e. lashes, wigs, extensions, nails, etc. At least 2 years in the broadcast production industry with a resume documenting at least 10 productions for broadcast and your responsibilities on each. Also list producer’s name and contact info for referral verification. CrewAtlanta is a non-union company focused on the technical side of things. We’re equally passionate about everyone being a team player. That means that no matter what you’re title you have no problem pulling cables, hauling equipment, being a runner for a sudden need. There is an old school nickname for it, a Johnny-on-the-Spot. You are observant, always looking for a way to help out, always one step ahead of everyone else, you anticipate every need. These are the only types of people we even consider to come on board. All internships begin unpaid until we determine your skill level. After we feel you’re ready to work unsupervised, an intern can begin earning a standard day rate on a per-project basis. Make sure to tell us your particular interest. 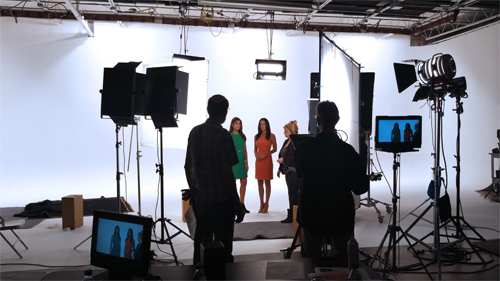 There are opportunities to learn audio, camera, and lighting from the best in the business. Are you ready?